On the 2nd June 2016 the largest container vessel ever built with the capacity of 19,224 TEU MSC MAYA called at DCT Gdansk container terminal for the first time. The giant container ship Maya, which belongs to MSC, travels to DCT as a part of a weekly oceanic service of 2M Alliance (Maersk Line, MSC). So far this route to Far East was realized only by Maersk ships. 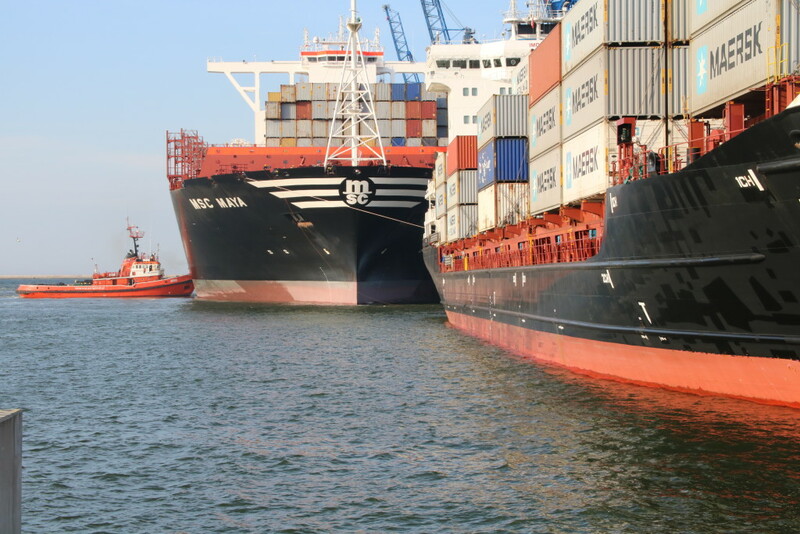 With the maiden call of Maya, MSC fleet joins the regular service of the two ship owners. 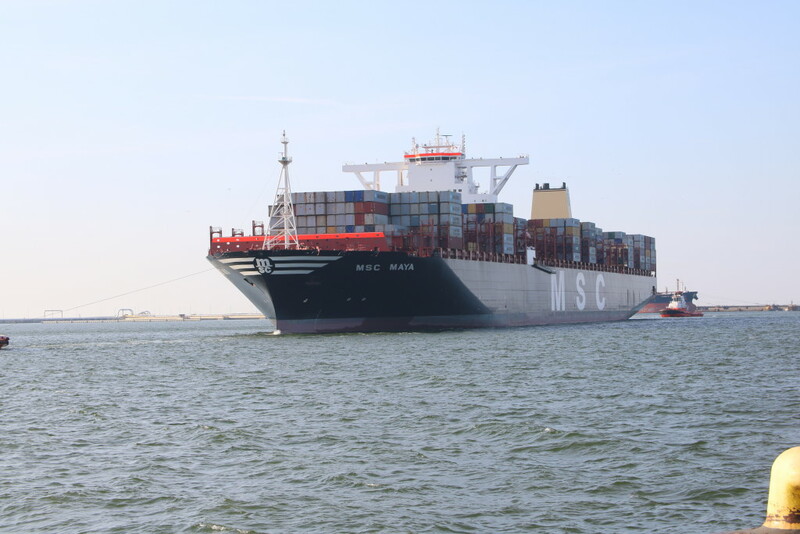 MSC Maya is now in service on the Silk trade route between Asia and Europe, connecting Gdansk to Yantian in 32 days. From her last port of call in Tanjung Pelepas, Malaysia, MSC Maya travels to Europe where she calls at Gdansk with a transit time of 25 days. MSC Maya was built in 2015 by Daewoo Shipbuilding and Marine Engineering (DSME) in Okpo, South Korea and sails under the Panama flag. Maya is a twin counterpart of MSC Oscar, which was built a year earlier. In true MSC family tradition, the vessel is named after the daughter of Elâ and Diego Aponte, President and Chief Executive Officer of MSC Group. The colossal vessel has a deck area equivalent to four football fields laid end to end. What can MSC Maya carry in a single voyage? or 2.4 million microwave ovens. If Maya was put vertically, it would be higher than Eiffel Tower.